Whether you want to acknowledge it or not, Christmas is under a month away. That does not leave much time to buy gifts. I personally love to have everything done well in advance. Normally, all my shopping would be finished by now. I am shorter on fund this year, so I have to shop as I earn money, but the real reason I am not finished is that I am having such a hard time trying to decide what gifts to get my daughter. My little girl is 2, so she is old enough to know what she likes, but she is not quite able to tell us. I know what she likes in general, but finding specific items to get her is really not easy. Between both of my kids, there is so much stuff in the house. I want something she can get a lot of enjoyment out of, that will not just end up buried in a toy box taking up more space. Recently, I discovered some adorable playsets, and I know they will be perfect for her. They are Pinypon Snow and they even fit perfectly with the Winter season. 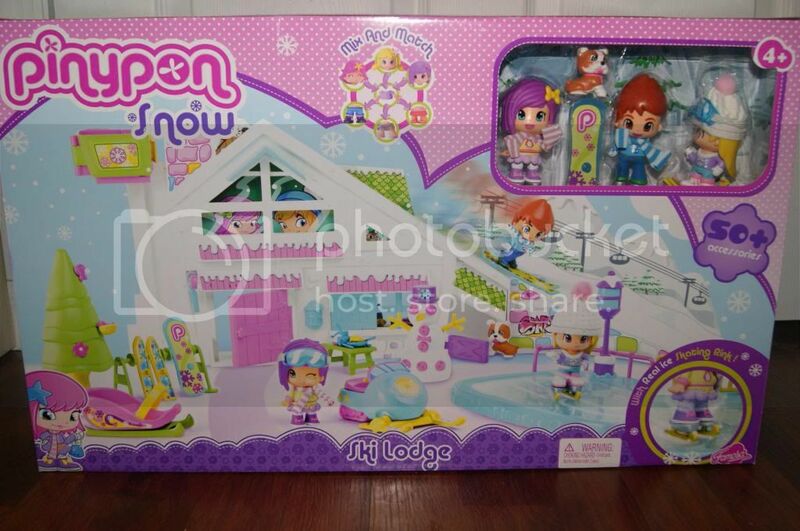 I got her 2 darling sets, Car & Tow and Ski Lodge. 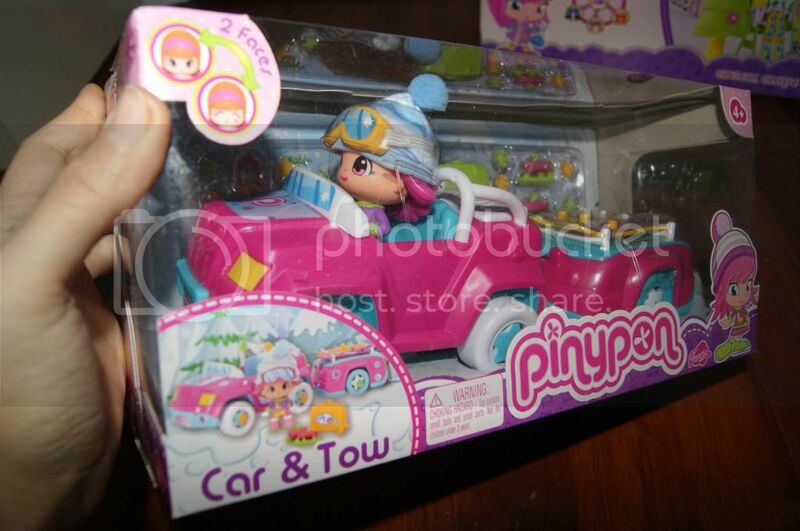 Car & Tow is a small set that includes on Pinypon figure, a car with trailer, some skis, snowboards and other accessories. If you are going to got skiing or snowboarding, then you have to have transportation, and this precious car is perfect. 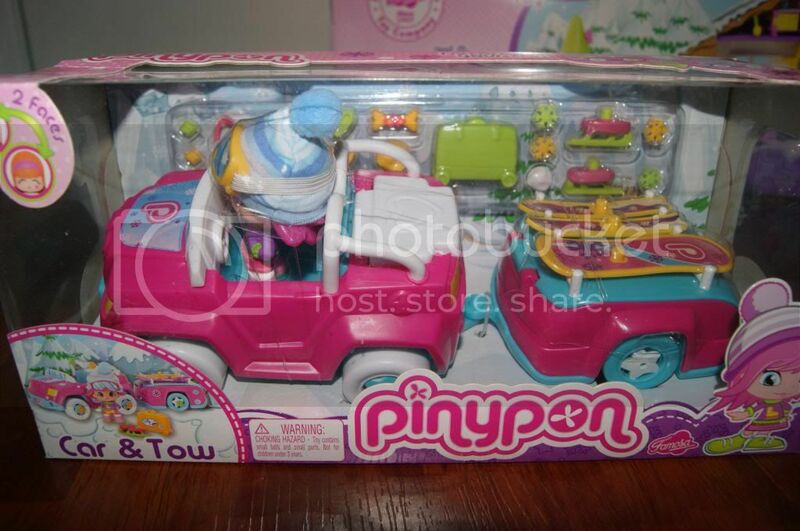 With such a great car my little girl and her Pinypon friend will have no trouble getting to the fabulous Ski Lodge. At the Ski Lodge, they can meet up with even more Pinypon friends, even a 4 legged, furry friend. One thing that must be mentioned about Pinypons is that they are two-faced. No, they won't talk about people behind their backs, but they do have removable hair and a head with a face on each side. That way, your Pinypons can adapt to any given mood. Even more fun, since their hair, heads, torsos and legs all detach, you can mix up your Pinypons to create unique characters. How fun is that? My daughter will love being able to take them apart and re-assemble them. I even think it will be fun for me. And how cute is their winter gear? I would totally rock one of those darling hats if given the chance. 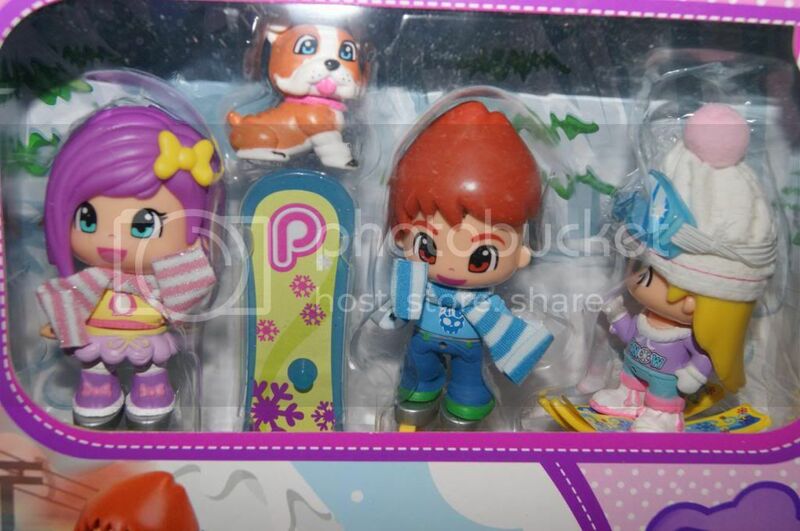 It's a good thing that they have warm winter apparel, because this set comes with a REAL Ice rink for them. You add water and freeze it for authentic ski fun. I love how original this set is. I never would have imagined being able to create your own custom character and then getting to make them skate on real ice. After a a fun and exhausting day on the ice, all the Pinypon friends can cuddle up in their nice, cozy lodge with their loving pup. That sounds so great that I wish I could be a Pinypon. A Ski Lodge adventure sounds divine. I guess I will have to live vicariously through y daughter and her awesome Christmas gifts. 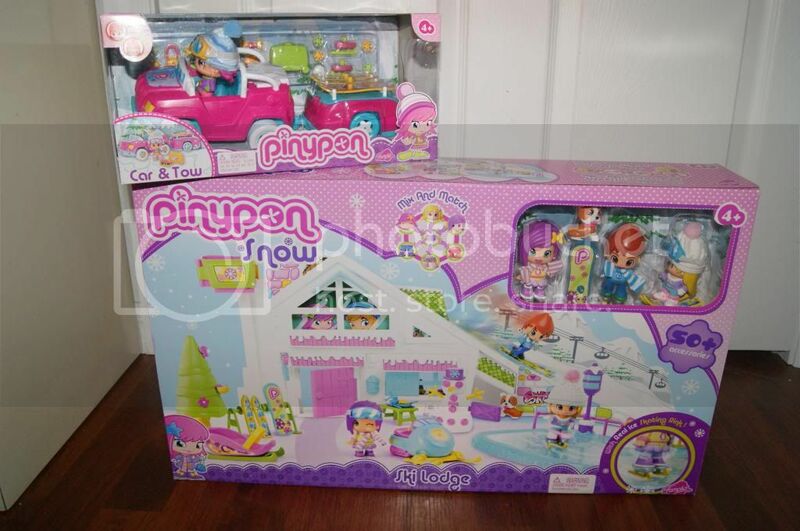 If you are shopping for a little girl this holiday season, I highly suggest a ski adventure compliments of Pinypon Snow.